I worked as Director of Photography on a video for IconFitness and Stiry. This video is a short compilation of exterior shots from that project. I photographed Tanya Poppett with the Sony FS5 in 4K Raw using the Sony Gmaster 70-200mm lens, recording on the Shogun Inferno. The opening and closing drone shots were done with the DJI Phantom 4. Check out the full video here. Tanya wanted to work out in a cool location. The Royal National Park in New South Wales, Australia, about an hour south of Sydney, was the perfect spot. Tanya Poppett is a fitness instructor from New South Wales, Australia. I’m a filmmaker based in the United States. Tanya Poppett is a Fitness Instructor from New South Wales, Australia. Growing up, she struggled with her body image. After trying to be something she knew she wasn’t, she discovered a passion for healthy living, fitness and nutrition. Tanya believes that “Fit and Healthy” look different for everyone. Basically, she says, “the media’s got it wrong.” Staying active does not just mean ‘hitting the gym’. Through her efforts to learn, teach and inspire fitness in others, Tanya has become a worldwide fitness leader, instructor and coach. Her main objective is to share her knowledge and love for health and fitness, instilling a lifelong passion for active living through innovative ways of getting fit and staying active. I had the privilege to work with Tanya, for Stiry and iFit, as Director of Photography, in telling Tanya’s story of health and fitness through a positive and active lifestyle. 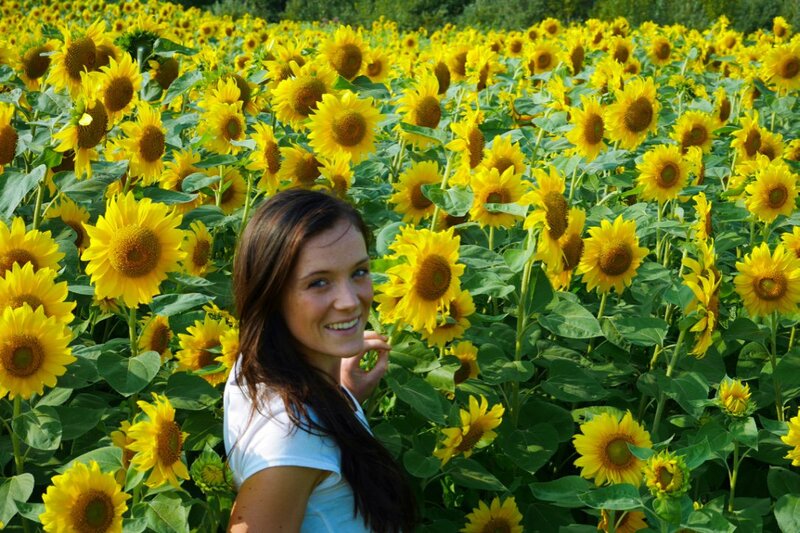 Tanya Poppett in a field of sunflowers.